Last fall, just after the passing of Seattle’s Secure Scheduling Ordinance, Emeryville passed their own version in the Fair Workweek Ordinance. As the third city to pass a “restrictive scheduling” law in the country, Emeryville’s law was the most far-reaching law passed to date. Seattle was the second city to pass a similar ordinance. The ordinance also nicknames, the advanced scheduling or restrictive scheduling ordinance goes into effect on July 1, 2017. In many regards, Emeryville’s ordinance mirrors San Francisco’s, which was passed in 2014 and took effect in October 2015. However, unlike the two previous ordinances, Emeryville included many more businesses in their ordinance. All retail and food service businesses who have 56 or more employees worldwide are covered under the law. All employees of these companies are covered under the law. The only exception is for unionized employees. As was the case with the previously passed ordinances, the Unions were the major backer of the ordinances and the play is seen as something that could boost union numbers. This is because employers can become exempt from the detailed and rigorous demands of documentation and compliance with the law if they unionize their employees. The presumption of the ordinance is that employers are failing to work with employees, are creating last-minute changes that disrupt employee life, and demanding difficult shifts where employees are required to work the closing and subsequent opening of a shift. Lawmakers are concerned that employees may struggle to find child care, rearrange schedules for last minute changes, or be unable to depend on a certain number of hours to be worked. However, recent studies in both San Francisco and Seattle show that over 70% of retail and fast food employee are happy with the current number of hours they are working and nearly 90% feel that they can talk to their employer about their schedules. The new ordinance carries with it stiff fines and additional labor costs for all affected employers. It is vital that businesses know and understand this new ordinance prior to its implementation in July. The purpose of this article is to provide an overview of the ordinance for business owners, managers, and entrepreneurs. The ordinance requires businesses to provide a good estimate of hours that each employee can expect to work. The employer must also post schedules 14 days ahead of the schedule and must pay increased wages for any changes made within 7 days of the scheduled shift. Additionally, any new hours that become available must be presented to employees before the employer can hire temporary, seasonal, or other employees. The ordinance covers canceled shifts, additional hours after the shift is posted, and on-call pay. In addition to the increased wages to be paid to employees, it carries additional fines for violations, increased recordkeeping requirements, and possible civil penalties. When new employees are hired, employers are required to provide a good faith estimate of the employee’s hours worked and their work schedule. The employee can request changes to their schedule prior to commencing work. The employer has to respond to the employee’s request in writing regarding changes that are approved or rejected by the schedule. New employees must be immediately given their first 2 weeks of scheduled work upon hire. All scheduled shifts must be posted at least 14 days prior to the shift starting. Employers can post the schedule in a conspicuous place or send it by electronic means. Any new hours that were not on the 14-day scheduling notice can be declined by the employee. If the employee’s schedule changes between 1 day and 14 days prior to the shift, the employee gets additional wages of 1 extra hour of pay for the changes. If the change is done in less than 24 hours prior to the shift, the employee gets up to 4 additional hours of wages plus an additional hour of wage for any other changes. The only exceptions to the Emeryville ordinance are for circumstances where the employees or place of business is threatened, public utilities fail, or due to an act of nature such as natural disaster or civil unrest. Employee to employee changes are also exempt, but the employer cannot help to facilitate the change or swapping of shifts. Existing Employees get First Dibs on New Hours and Positions. Employers are restricted from hiring for new positions, temporary, or seasonal help unless they have first offered the new hours and schedules to existing employees. The additional hours can be divided among several existing employees as long as the employer doesn’t discriminate among employees when dividing hours. The employer also can’t divide up hours to avoid the benefits required under the Affordable Care Act (ACA). Employers must give employees at least 72 hours to accept the offer of additional work. If the time of additional hours needed will last less than 2 weeks, then the employer must give the employee at least 24 hours to accept the hours. The offer and the acceptance of hours must be communicated in writing. All communications must also be kept for at least 3 years. The Fair Scheduling ordinance adds penalties for employers whose employees work two shifts with less than 11 hours between the shifts. Employees who work these shifts must agree to do so in writing. Further, employers must pay time and a half for any hours worked with less than 11 hours between shifts. Employers must post notice of employee’s rights under the ordinance. They must also provide notice to new employees upon hire. Employers are prohibited against retaliation against employees for exerting their rights under the ordinance. Failure to maintain adequate payroll records for 3 years. Additionally, employees can pursue civil legal action against the employer. The employer can be made to repay all back wages, reinstate the employee, injunctive relief, and other civil penalties. 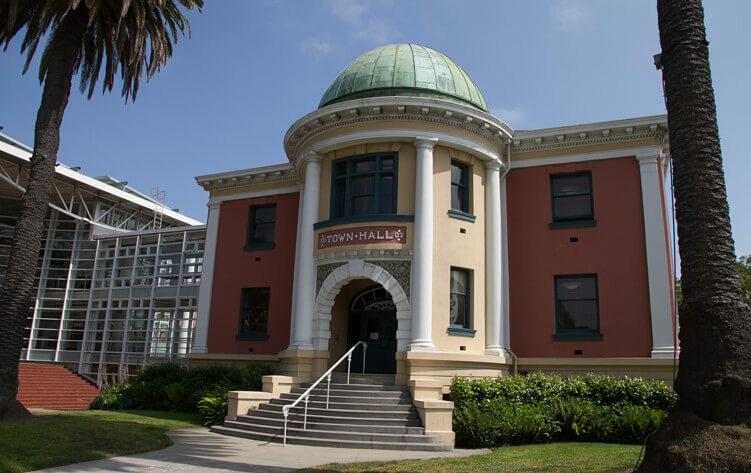 Employers in Emeryville must already comply with other employment laws, including the new minimum wage and sick leave act. These employers must now take steps to ensure adequate compliance with the Fair Scheduling Ordinance. Manual time cards and typed or handwritten notices and schedules are difficult, if not impossible, to maintain adequately enough to avoid violation of this ordinance.